The Standard Limb Leads are used to display a graph of the potential difference recorded between two limbs at a time, ergo, they are bipolar. In these leads, one limb carries a positive electrode and the other limb, a negative one. 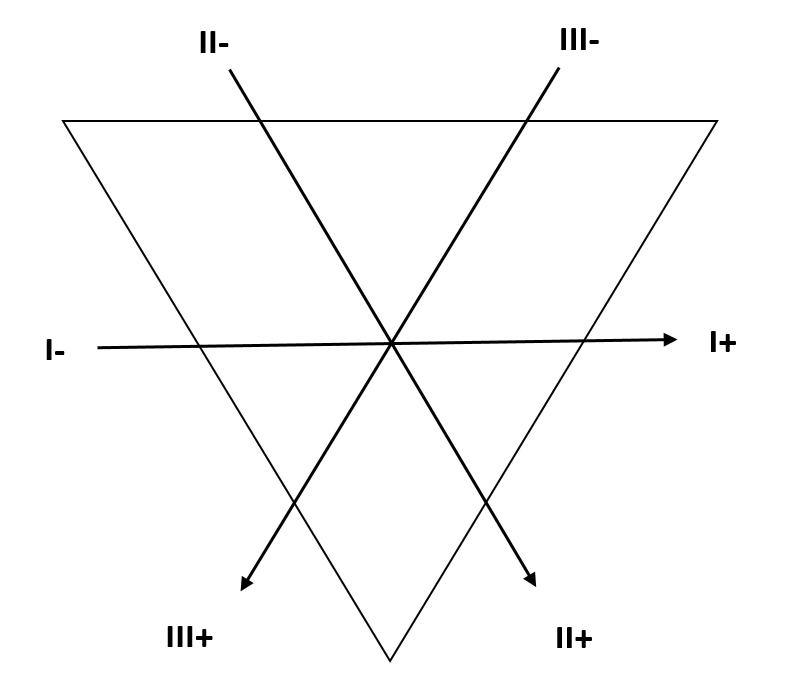 The three limb electrodes, I, II and III form a triangle (Einthoven’s Equilateral Triangle), at the right arm (RA), left arm (LA) and left leg (LL). 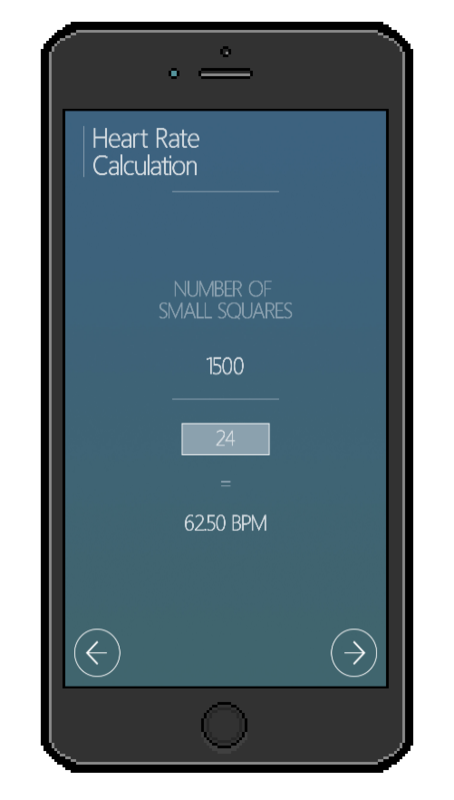 If you had an ECG in which the Lead I R wave was 7mm tall and the S wave 2mm tall, subtract the S from the R, and you would have 5mm. So these leads are electrically equilateral. The Augmented Limb Leads obtain a graph of the electrical forces as recorded from one limb at a time using a null point with a relative zero potential, thus, they are unipolar. 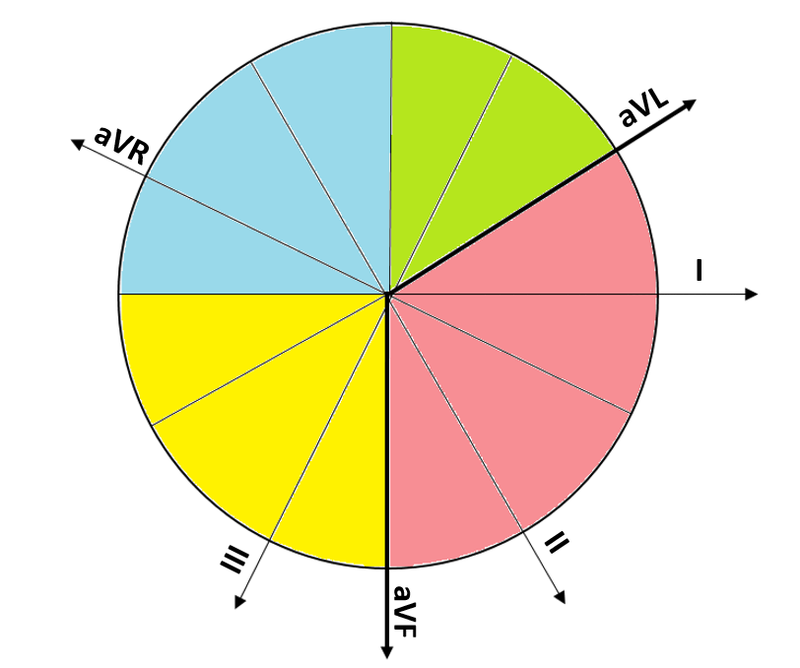 These leads, aVR, aVL and aVF give additional views on a trace by reading potential difference across the heart in three more directions on the frontal plane. The Right Leg (RL) electrode removes artefact from the ECG and is not a directly participating factor in the visible trace. This direction creates a transverse plane via which to view the heart’s electrical signal, in addition to the frontal plane offered by the Limb Leads. 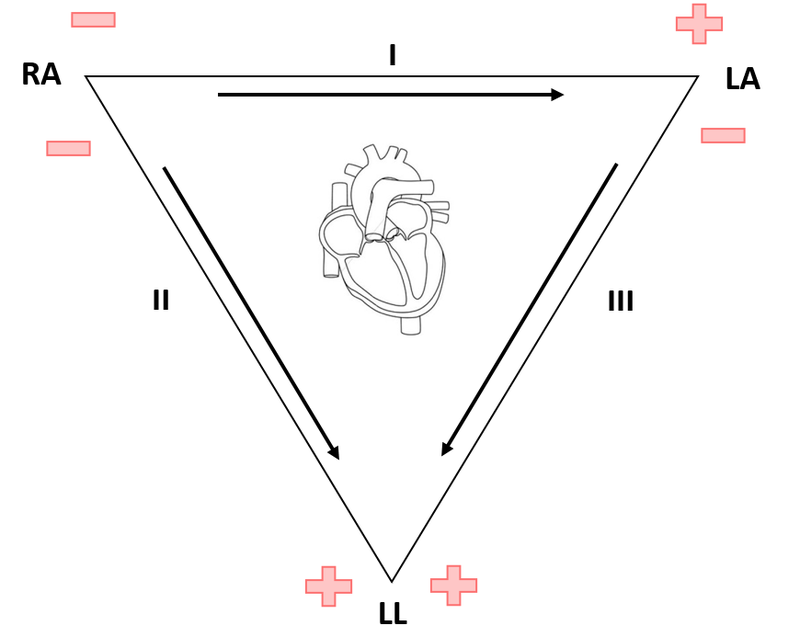 Polarisation dictates the direction of the trace on the ECG. A wave of polarisation travelling toward a positive electrode results in a positive deflection on the ECG. A wave of polarisation travelling away from a positive electrode results in a negative deflection on the trace. A wave of depolarisation travelling at a right angle to a positive electrode results in a biphasic deflection on the trace. 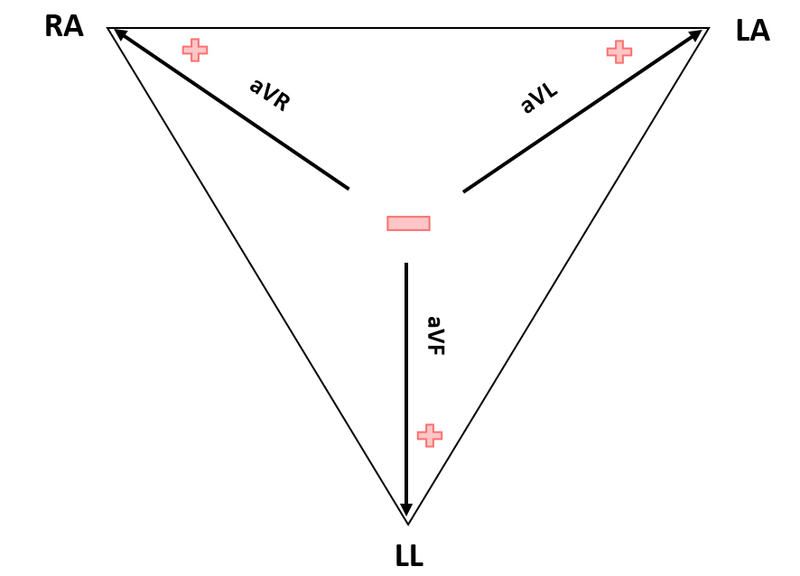 To graphically represent the electrical forces in Einthoven’s Triangle, we can draw them in such a way that they bisect each other, passing through a common central point. Each axis is separated by 60° from each other, with the lead polarity , + or -, remaining in the same direction. This is known as the Triaxial Reference System. By combining this triaxial lead system with one from the Unipolar Limb leads (also with 60° separation), we create the Hexaxial Reference System, used to determine the electrical axis of the heart. Don’t worry about the colours yet. They will become clear when we determine the cardiac axis. Hey this was really helpful 🙂 Thanks! Will do 😊your piece was helpful for an assignment for my instrumentation course. Are you a med student? No, I’m a Clinical Physiologist (qualified 7 weeks ago); I perform and interpret the diagnostics that you guys use to create a treatment pathway. Pacemakers, ECG, Echocardiography and angiograms.